UNLIKE FACELESS GLOBAL TRAVEL PORTALS YOU CAN CALL US FOR PERSONAL ADVICE! OUR TEAM HAVE BEEN IN CHAMONIX FOR NEARLY 50 YEARS BETWEEN US! NOBODY HAS MORE EXPERIENCE THAN US OR THE WISH TO GIVE YOU GOOD ADVICE! Here you will find the largest selection of catered and self-catered chalets and apartments in the Chamonix valley, with an exceptional and wide-ranging choice of Chamonix accommodation. We are the local experts and we know many of our owners, so you so we never have the problems that plague the global websites. You simply browse through the chalets and fill in the simple enquiry form. Then, you will receive availability and prices from our favourite and suitable properties. All under no obligation. Many of our properties are available winter or summer Chamonix holiday on Chamonix Ski Chalets: accommodation, airport transfers, insurance, up to 50% off ski hire and lift passes too. You can speak to us about the chalets or Chamonix itself so we can help make your stay in this beautiful and amazing valley truly exceptional. Our team is small, friendly yet professional and are always happy to help you with the important details as well as your overall holiday planning. 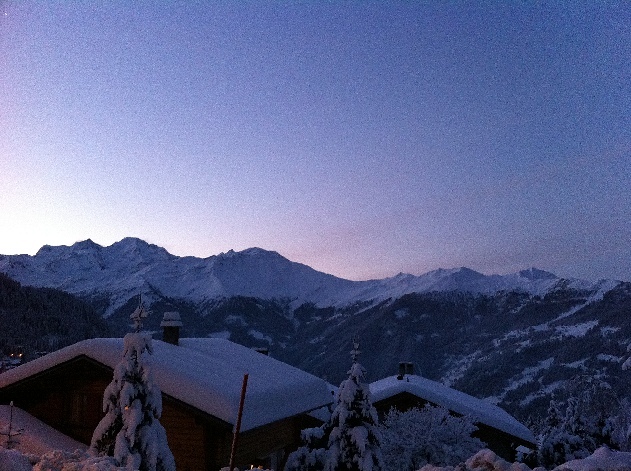 We also have beautiful chalets in Verbier to choose from, please look at our Verbier Chalets site for more details. 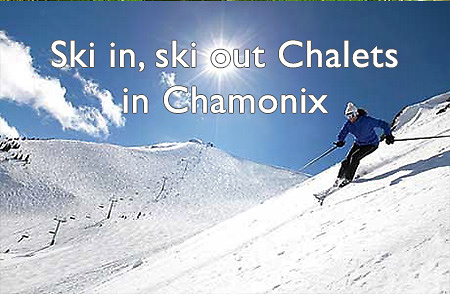 - We have made Chamonix holidays in chalets and apartments since 2001. 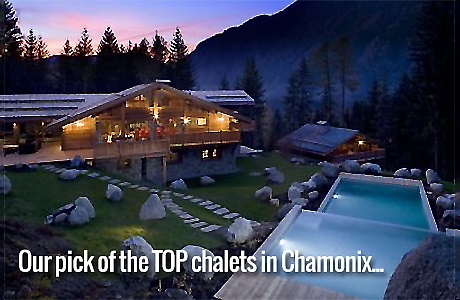 - Chamonix Ski Chalets has unrivalled local knowledge of 400 chalets and apartments which we will eagerly share with you. - We give impartial advice and free holiday planning by always having someone there to talk to about your holiday. - Since we know so many Chamonix property owners and operators in person, it is very hard if not impossible for scammers to operate through us. We vet all new property listings thoroughly, so you are safe booking with us. - Our attention to detail means we pass you availability and information both rapidly and accurately, so you are assured of making the best possible decision. We love Chamonix and look forward to welcoming you to our home town! 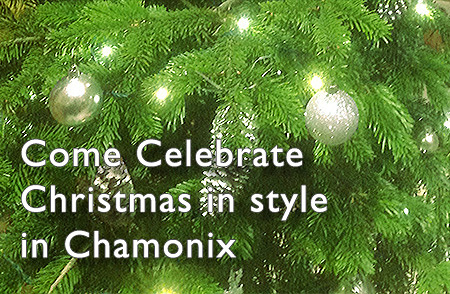 Christmas is a wonderfully magical time to visit Chamonix. 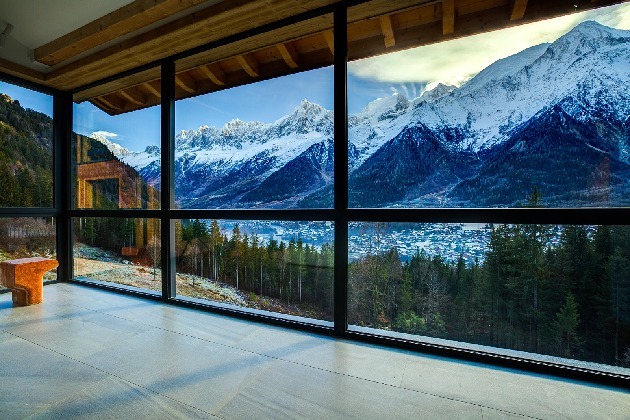 Our pick of the best luxury chalets in Chamonix valley. We have a selection of chalets and apartments available to book for the Chamonix marathon in June 2018 and other associated races this year. Our latest list of chalets which still have availability for New Year! For some, the first sign of snow means it is time to dig out the wool socks and blankets and go into hibernation or migrate south to warmer destinations. For others, though, it means time to wax those skis or snowboards and hit the slopes! Waking up at the crack of dawn, dressing in winter gear to spend a day freezing my not seem appealing to a “winter hibernator”, however it is not all about the snow. An extended holiday an extended holiday at ski chalets Chamonix in warm, luxurious well serviced Chamonix accommodation can make all the difference. On one side the world class skiing in the Chamonix valley may test the body and relax the mind taking you away from the everyday stresses at home and refreshing your spirit whilst re-energising your body. On the other side Chamonix holidays or any winter sports holiday can be a wonderful opportunity for rest and recreation when staying in winter accommodation designed for your comfort and pleasure. Chamonix accommodation is available to suit all tastes and budgets. To find the right chalet for rent or ski accommodation is the key to a memorable Chamonix holiday. The internet can be a bewildering place to search for Chamonix chalets, so we decided that we could really help holidaymakers find ski chalets Chamonix by always being available to speak on the phone or answer email enquiries. In this way you can find a suitable chalet hire by asking us all the questions you have about the chalet location, size, quality and services provided by the chalet owner or operator. When choosing the right chalet hire in line with you preferences it is also a good idea to check the facilities and amenities on offer from the wide range available many chalets. These might include WiFi, Satellite or terrestrial TV, DVD, separate cinema, games room for children, sumptuous catering with an in-house chef, or self-catering with your own kitchen. You might wish to have a large private garden, sauna, Jacuzzi or a chalet with a hot tub, log fire, mountain views or a private gym. In each different chalet a different set of wonderful facilities await you. When you book a quality ski chalet rental in Chamonix you will have a lovely holiday whether you rent a standard, mid-range or luxury chalet. Ski chalets Chamonix are available for rent from 2 person romantic or honeymoon chalets to chalets which can accommodate more than 20 together as a group. Chalets for rent are available to choose in summer and winter. You can find cosy wooden ski chalets as well as most authentic and fantastic chalets finished to the highest standards, large sociable chalets or elegant traditional chalets with great facilities are common near the village of Chamonix or by the slopes. Location is very important when considering which Chamonix chalet or apartment to hire. In underneath the majestic gaze of the Mont Blanc some chalets have truly panoramic views, some ski chalets maximise the view others are in the village with easier access to the shopping and facilities of Chamonix itself. No matter whether you ski or not, in Chamonix holidays there are many alpine activities you can try out or practice. Whether photographing, skiing, hiking, biking, climbing, golfing or simply enjoying the scenery, ski holidays in Chamonix will leave undoubtedly leave you with memorires for a lifetime. The Chamonix valley has various picturesque satellite villages including the old villages of Servoz, Les Houches, Les Bois, Argentiere, Le Tour and Vallorcine amongst the most popular ski resorts in the Haute Savoie region. The only problem will be deciding where to visit next! 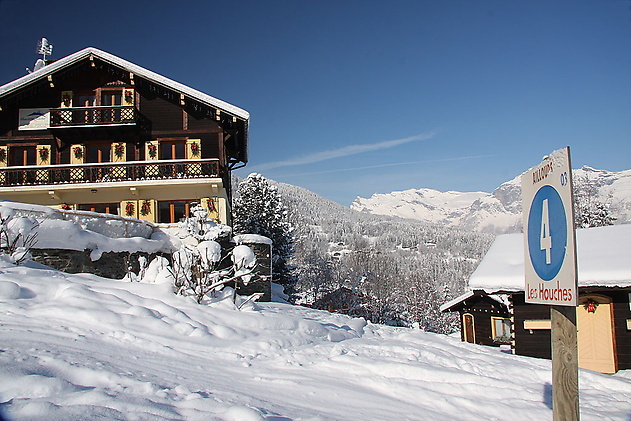 Family ski chalets are also available in our large selection of chalets and apartments. There are ski areas that are suitable for beginners ensuring that children and beginner adults have a safe and enjoyable Chamonix holiday. Ski chalet Chamonix offers a perfect mix of quiet on-slope hotels amid gentle beginner and intermediate slopes, backed by astonishing scenery. Few children start skiing from three years old so the most important factor in choosing a resort when having a family skiing expedition is childcare. When planning such a trip remember that ski-in, ski-out is an important consideration and if you have beginners in your party, convenient access to the nursery slopes is very important. If your Chamonix accommodation is far from the lifts it can be tiring for the little ones to get there and home again in ski boots and carrying skis. The great thing about travelling to Chamonix for your ski holiday is that you don’t have to travel to the other side of the world to the Himalayas if you want to experience some spectacular mountain scenery. The smaller peaks of the Alps are mountains that are much younger, closer together than the old Himalayas and create a sense of awe in all who walk, watch or traverse them. Along with the epic vistas luxury holidays to Chamonix is very popular for all levels of skiers and snowboarders from the first day debutants to the most experienced alpine experts and snow sports professionals. There is even a wide variety of budget chalets and apartments to rent. We live and breathe Chamonix and are keen to share our experience during your unique Chamonix ski holidays. The winter season starts early in December and often some lifts are open until the end of May. The Chamonix ski area is immense with five different unconnected ski areas. 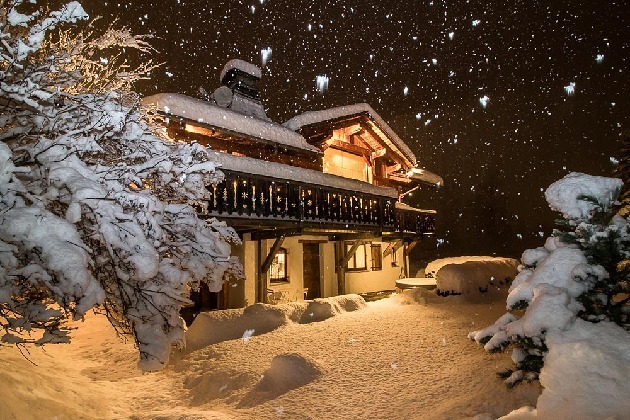 After an energetic day on the mountain, retreating to the ambient comfort of a traditional Chamonix ski chalets for some “vin chaud”, a fondue and some local food is a great pleasure and we at Chamonix Ski Chalets will ensure that everything is prepared at your Chamonix accommodation in time for your arrival. You can choose a ski chalet holiday with your sweetheart to have a romantic calming yet full of fun time or visit with your friends, family or work colleagues. For many, coming to Chamonix and staying in a lovely chalet or apartment has become an annual pilgrimage. We have been organizing Chamonix ski holidays for 16 years, hopefully we can make your Chamonix vacation something to look forward to year after year.